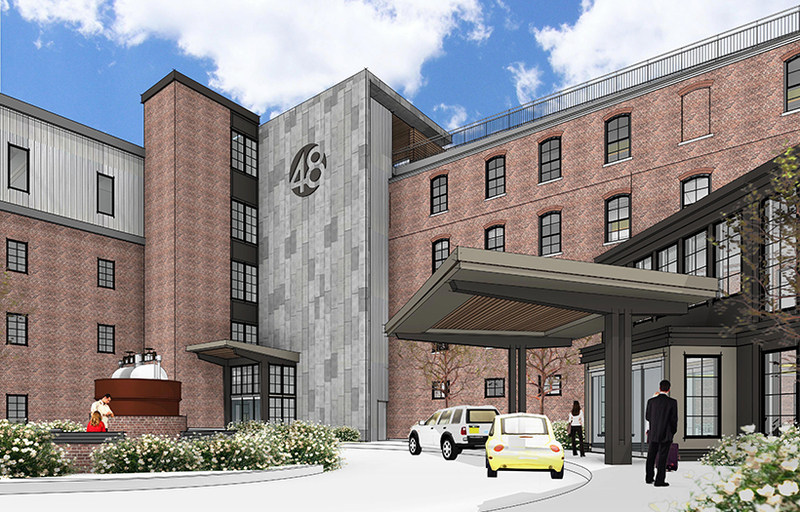 Welcome to the Wilbur Hotel, located in the former Wilbur Chocolate Factory. With 74 beautiful rooms and suites, guests now have a luxurious retreat in the heart of downtown Lititz, PA that adds to the charm of the recently awarded “Coolest Small Town in America.” Enjoy leisurely walks through this delightful town with its shops, brew pubs, eateries, historic architecture, local art, fine dining, festivals and warm, friendly people. When the day is over, retreat to one of our comfortable modern industrial inspired guest rooms. You will find our rooms spacious with luxurious comforts and amenities designed for the discerning guest, including complimentary WIFI and a 24-hour fitness center. Experience our wonderful bar overlooking the historic Lititz Springs Park. Afterwards, enjoy our wood-fire grill restaurant for an outstanding dinner, whether you are looking for a small bite to eat or full course meal.